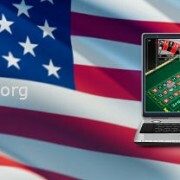 New legislation has been introduced at a federal level in the United States which, if passed, will restore the longstanding (pre 2011) interpretation of the Wire Wager Act to include (and therefore ban) online casino games. The Restoration of America’s Wire Act (H.R. 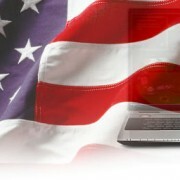 4301) was introduced Wednesday by Congressman Jason Chaffetz (R-UT) and U.S. Senator Lindsey Graham (R-SC). 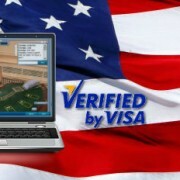 Back in 2011, the US Department of Justice (DOJ) changed its stance on the Wire Wager Act, limiting its application to online sports betting and not casino games. Following the change, Delaware , New Jersey and Nevada wasted little time in getting intrastate online gambling laws/regulations up and running and plenty of other states are tipped to follow suit. This is clearly a situation that Chaffetz, Graham and the man standing in the background poking them with a big stick, Sheldon Adelson, are not happy with. 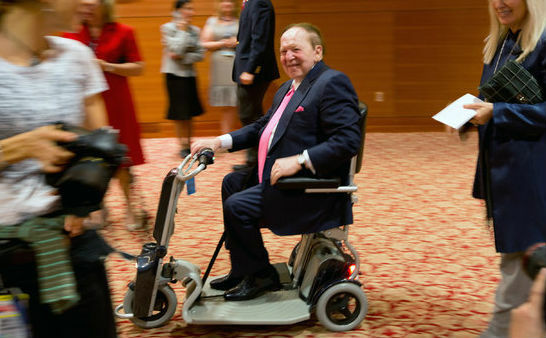 Adelson isn’t really standing that far in the background. According to a New York Times article, HR 4301 was originally drafted by one of his lobbyists. I guess co-authoring legislation is one of the perks that comes with being the biggest private donor to the Republican party ($100 million in 2012). And technically speaking, he doesn’t seem to be doing much standing either. Most recent pics of him have him whizzing from one power meeting to the next on his mobility scooter, no-doubt rattling the nerves of all those with skin in the online gambling game. There are concerns that with clear battle lines drawn, and plenty of fire power on both sides this fight could see America’s casino industry, terrestrial and online, do real damage to itself. 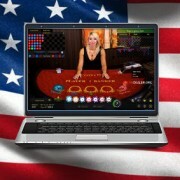 There’s usually a lot going on in the US when it comes to online gambling. This year may just be a little busier than most. 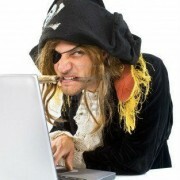 An interesting take on the fallout from HR 4301’s introduction… Far from discouraging states already considering regulations (http://www.livedealer.org/blog/2014/02/net-gambling-legislation-considered-by-10-us-states/) from going ahead, it could actually spur them to move faster. Attitude being, a common enemy (being dictated to at a federal level) unites state legislators to pass their laws. Once a number large states have legislation in place, a federal laws requiring a rollback of that legislation will be very hard to get over the line.